Every week we will each share two books that caught our eye from that week’s Mailbox Monday. 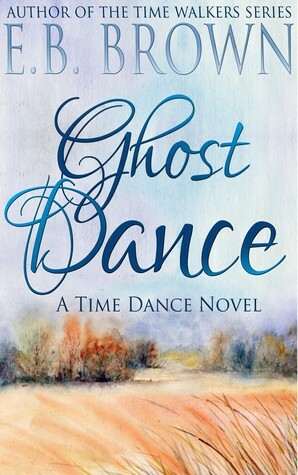 Ghost Dance (Time Dance #1) by E.B. Brown found at Library of Clean Reads. Daniel is the orphaned son of a Powhatan warrior, born in seventeenth century Jamestown. When he is injured in the Battle of Bloody Run and left for dead, he wakes in the care of a young woman named Emmy. As she nurses him back to health, he soon realizes that she is from another time – and that she is the Time Walker his enemies have been searching for. Emmy is a reluctant Time Walker, sent to 1656 Virginia on her mother’s dying command. She prepares for her journey to the past as much as any modern woman could, but soon she realizes that the ancient blood running through her veins makes her a target for danger no matter what time she is in. Daniel is a complication she did not expect – a man who is tangled in her heart and her history in a way that can never be undone. In a time when settlers flooded the New World under the rule of English Kings and the First People fought to keep their way of life, an alliance between Daniel and Emmy is not easily achieved. Yet as their lives are irrevocably entwined by fate and circumstance, they realize they must trust each other if they hope to survive what the history books have already written. I like time travel like Laura. This cover is pretty too. 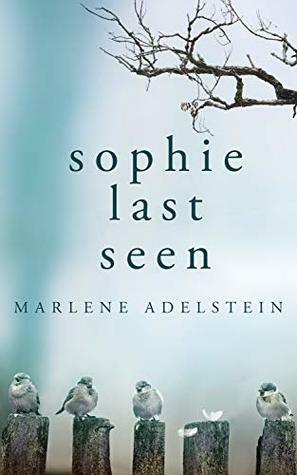 Sophie Last Seen by Marlene Adelstein found at An Interior Journey. This looks like good suspense. GHOST DANCE looks very good…love the cover. SOPHIE LAST SEEN was an excellent read. Thanks for the picks…HAPPY NEW YEAR! !